Ho Ho Ho, Good luck! Today’s clue: I’m not located on the clock at City Hall. Ho Ho Ho, Santa Claus here with today’s clue: Some go fast, some go slow, as they drive by my cheerful glow. Ho Ho Ho, Have you been naughty or nice? It’s a trick question because I have the list! Here’s today’s clue: Day or night is alright, but I prefer the night because that’s when they come out. Ho Ho Ho, Are you ready to win? You might need some holiday magic to solve this secret location just yet. Here’s today’s clue: People aren’t the only living things around me. There are plenty of living things where I’m located. Ho, Ho, Ho, By the way, my favorite cookie is sugar with red and green sparkly sprinkles. I’m just putting that out there. Here’s today’s clue: Versions of me can be found all over the place this time of year. Ho Ho Ho, I’m in the grass, standing upright, facing forward with the others … it’s not too tall, rather short, actually. One hundred minus 74 gives you the number of these you’ll find all over the place. But which one? You only need one to win. It is an honor to be a part of something that so many people come from far and near, every year, just to see us standing here. I sometimes wish they’d turn me around so I could see the beauty behind me. But that wouldn’t make sense. Don’t turn out your lights by me — it wouldn’t be the time or place for such a move over here, where people make their way by in what seems like a hurry. Slow down! Ho Ho Ho!!! 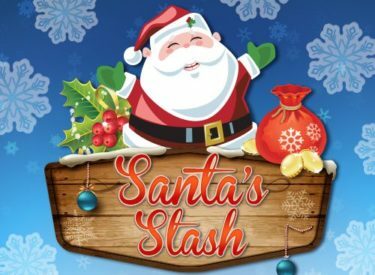 These are the clues that have been given so far in the 2018 Santa’s Stash contest. Call in during the morning shows on KLOR and KPNC when the clue of the day is given. If you are the correct caller with the right answer, you win! The first person to solve the mystery will win $1,500 in Santa’s Stash Cash, spendable just like cash at our participating sponsors.